I have developed an extensive spreadsheet of calculations in an effort to address to issue of brownies that aren’t bad for you, and what I have discovered is that brownies are bad for you. The problem is the chocolate. Chocolate on its own doesn’t taste good, as you’re probably aware. It needs sugar to taste good. Fat is nice too. Sugar and fat aren’t good for you. Sure, the internet is rife with recipes for black bean brownies, in which beans replace the flour, cocoa powder is the only source of chocolate, and, in Cara’s recipe, avocado adds some fat, but the healthy kind. I made Cara’s recipe, exchanging 2 tablespoons of cocoa for 1 ounce of bittersweet chocolate to add oomph to the chocolateliness in a compromise between health and flavor that I thought was worthwhile. The brownies were very, very edible. They didn’t taste like beans or like avocado. They also didn’t taste much like chocolate. This is when I started calculating calories, trying to see how much chocolate I could add to black bean brownies before it defeats the purpose of making a healthier brownie. I started by looking at Cook’s Illustrated’s Lighter Brownies recipe, replacing the flour with beans and the butter with avocado. I also added some ground almonds, because the original brownies needed something dry to absorb some of the moisture and bulk up the batter. 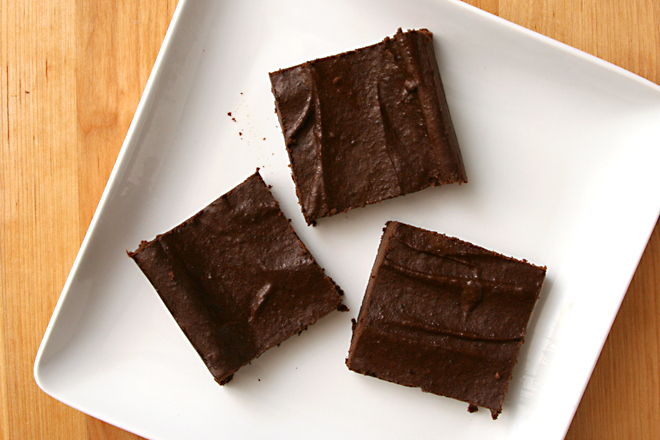 What these brownies have going for them is that they’re chock full of fiber, high in protein, gluten-free, and full of good fats. 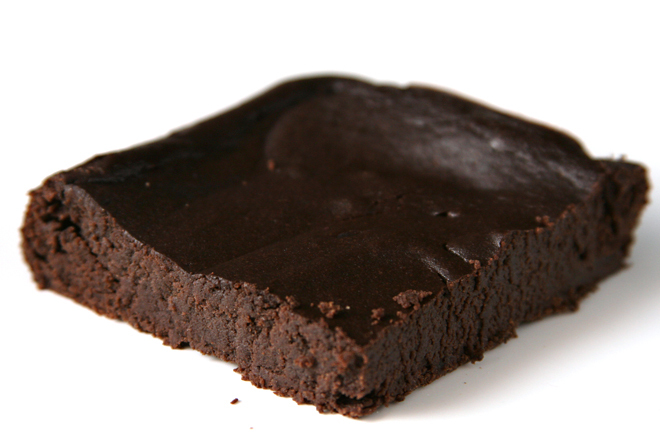 What they have working against them is that they still have a significant amount of refined sugar, and they have more fat and therefore more calories than other black bean brownie recipes. 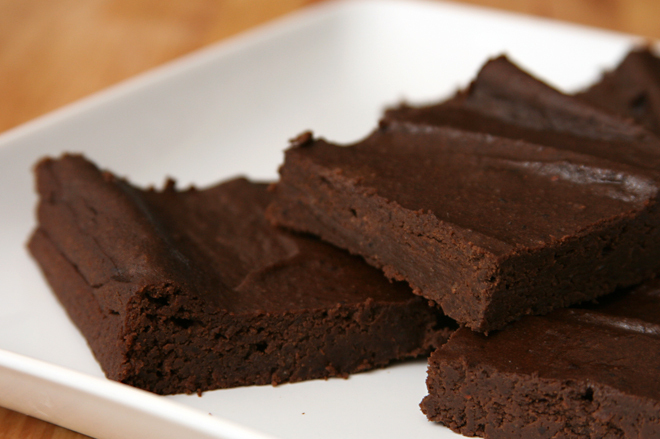 They also have more flavor, more chocolate flavor, that is; in fact, so much chocolate flavor that this won’t just satisfy a chocolate craving, but it’ll cause a craving – for black bean brownies. 1. Adjust an oven rack to the middle position and heat the oven to 350 degrees. Coat an 8-inch square baking pan with vegetable oil spray. 2. Process the almonds, sugar, and salt in a food processor until the almonds are finely ground, about 2 minutes. 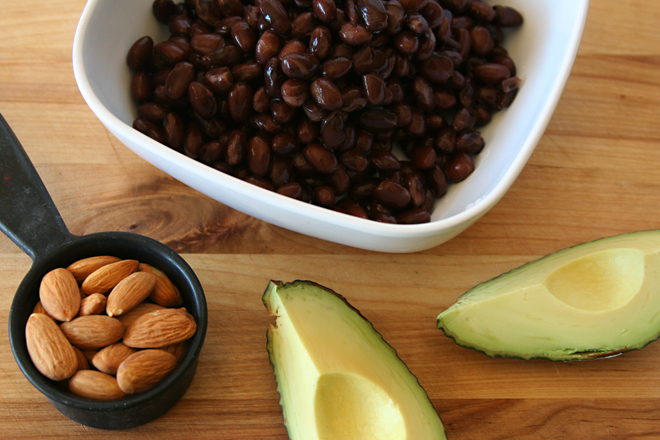 Add the beans and avocado; process until the beans are smoothly pureed, 4-5 minutes (some flecks of bean skins may remain). 3. Set a heatproof bowl over a saucepan containing one inch of simmering water. 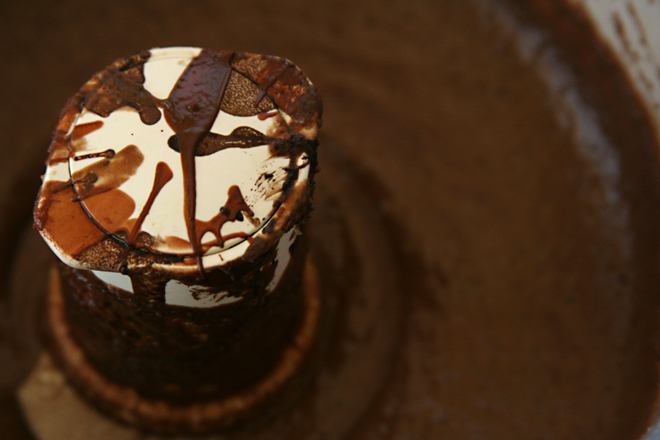 Add the chocolate; stir frequently until the chocolate is smooth, then remove from the heat. 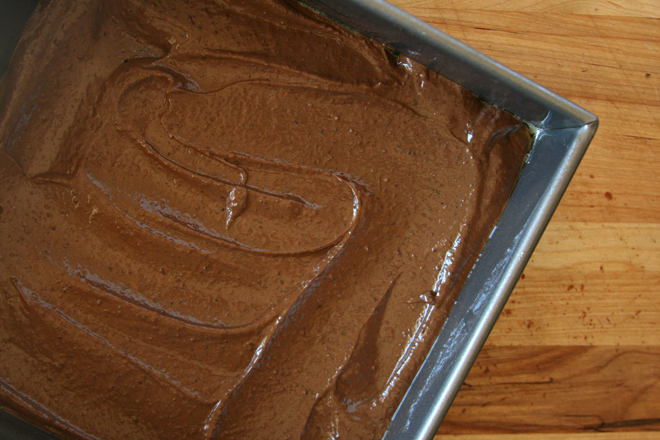 In a separate small bowl, whisk the cocoa, water, vanilla, and espresso powder together. 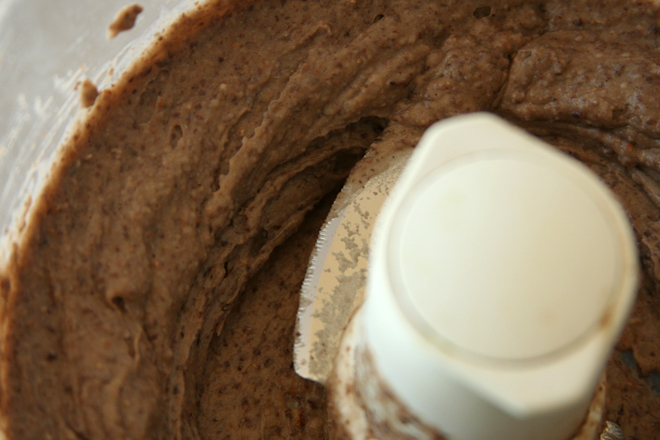 Add the chocolate, cocoa mixture, and baking powder to the bean mixture in the food processor; pulse to combine. Add the eggs; process for 30 seconds, stopping twice to scrape the sides of the bowl. 4. Pour the batter into the prepared pan and smooth the top. Bake until a toothpick inserted into the center comes out clean, about 25 minutes. Cool completely on a wire rack, at least 1 hour. Store leftovers, tightly wrapped, in the refrigerator for up to 5 days. Oh, I bet these are really rich with that avocado. Very nice. I’m really glad to see that you used these as a jumping point for improvement. I confess that I actually dont’ *love* that recipe and I like my “Squeaky Clean Brownies” much better. At some point I’d like to revamp my bb-avo brownies to get rid of the sugar and improve the taste/texture but I haven’t gotten to it yet. I also think about taking that recipe down since it contains sugar and I don’t love them, but what stops me is knowing that I actually have a lot of friends who love those brownies and make them often! It’s still a pretty popular page on my blog, so I leave it. Anyway, hopefully new & improved will come along some day! I absolutely LOVE the way you scientifically approach recipes! I still haven’t made these even though they’re all over the blog world (although I’m sure your version is better!) Part of me just feels like when I want a brownie, I should just eat the best, richest, fattiest brownie I can get my hands on and leave my fiber in my salad. But then part of me realizes sneaking fiber and protein into dessert isn’t really a bad thing. These look delicious and what a great approach to de-constructing them. I can’t wait to make these for a friend who is gluten-free, but LOVES chocolate! It’s all about tradeoffs…looks like you struck the perfect balance between yum and healthy! Interesting! I want to try this recipe out for sure! I love that you adapted Cara’s recipe to be more chocolatey. I’ve been wanting to try black bean brownies for a while now. I think I’ll start with this recipe. You say “sugar and fat aren’t good for you”, but that’s not really true. We NEED fats to live. Children in particular need fats for brain development. We don’t need to guzzle bacon drippings three times a day, but the healthy fats in avocado, assuming you occasionally eat other things, are a good part of a healthy diet. Likewise, although refined sugar isn’t good for you, we still need SOME of the stuff for survival. Sugar and fat taste good to us because our bodies need these things to survive. Most Americans nowadays get entirely too much sugar and fat (especially for the minimal exercise we get), but that doesn’t make them bad, it just means that our bodies are primed to want lots and lots of something that in our society we’re lucky enough to have readily available. I sub’d almond flour for oat flour (looked up whole to ground almond conversions, did a little math, got 5 tbsp ground almonds for 4 tbsp, or 1/4 C, whole almonds. so I used 5 tbsp ground oats instead) because all I have is an old blender that I wasn’t sure was strong enough to grind up the almonds. Other than that, I followed the recipe to the T. It took me longer to bake (about an hour, more or less), but my oven’s weird. Make sure that you chill before eating. Warm, it was kind of fluffy but mushy at the same time and really had a beany texture. After a night in the fridge though, it tastes like a dense, rich, fudgy brownie that is absolutely wonderful 🙂 and I cut it up into 16 squares so each brownie has 6 g sugar.